So today was better nutritionally, mostly due to the fact that I made myself eat everything on my plan. Lo and behold, I really did feel better for it! Today's workout was very Shaun T-esque, similar to Focus T25. It was also a calorie scorcher! Over 300 calories in 30 minutes! And let me tell you, this girl was DRENCHED in sweat. 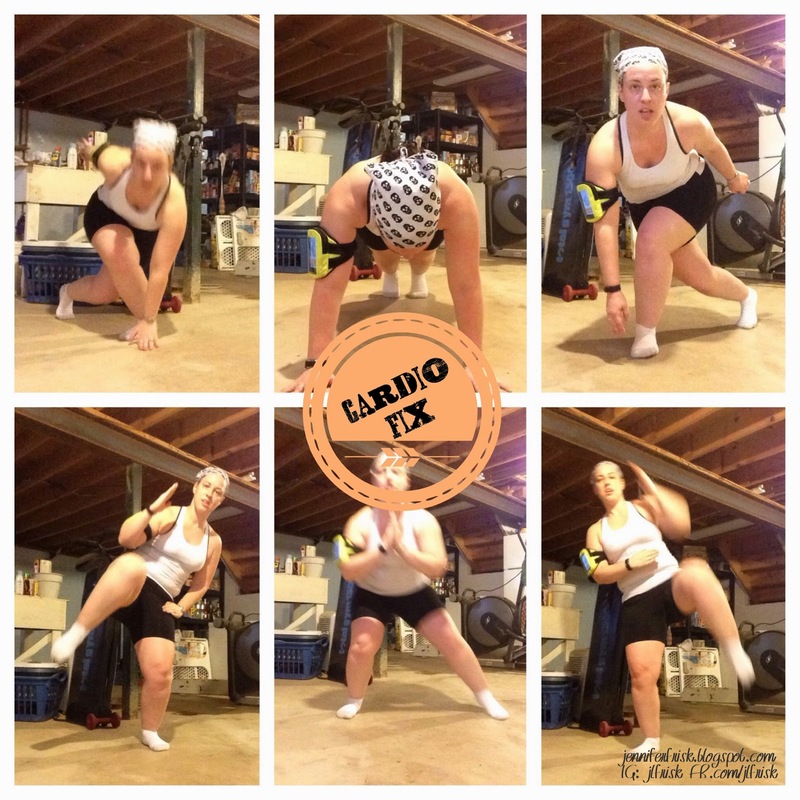 Now, I'm not the biggest Shaun T fan in the world, so this workout is definitely not my favorite in the Fix, but there is no denying it will get serious results.